Parental Considerations and Concerns: Is It a Good Idea to Rest Near Your Baby? A sleeping baby is one of the sweetest things to witness. And as the parent of an infant, you want to do what’s best for baby, but what is best? And when you leave the hospital, the nurse instructs you to always lay baby down on the back to rest. If a nurse comes into your room and finds you asleep with your baby in your arms or on your bed, you are likely to get reprimanded. So, is it a good idea to rest near your baby? You’re probably familiar with the saying, “Back to sleep. Tummy to play.” Its goal is to help reduce the risk of SIDS (Sudden Infant Death Syndrome). There are those who say that co-sleeping, or sharing a bed with an infant, is a factor in infant deaths from SIDS. There are others who say that resting near your baby reduces the risk of infants dying from SIDS. Who is right and who is wrong? 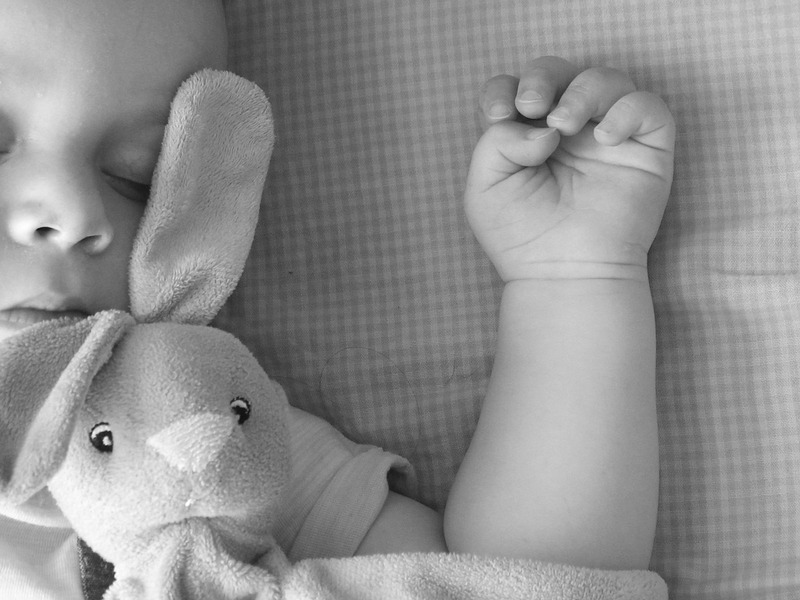 It could be that for some infants co-sleeping is a factor and for others, it is not. How do we know for sure? It’s been said that the immaturity of a baby’s systems is to blame and that by sleeping with your baby, your body is reminding your baby’s body what to do and how to function. It’s been said that the rhythmic action of a parent’s breathing and the sound of their heartbeat is a cue or instruction manual for your new little life. You may also find that both you and baby have a more restful sleep with fewer interruptions. It has also been said that when sleeping with your baby the pillows, sheets, and blankets may pose a risk and that even the parents themselves may pose a risk. Perhaps mom will suffocate baby with her breast during a night feeding, or dad will roll over onto the baby in his sleep causing the baby’s death. Adults who rest very soundly may not realize that their baby is squirming in the bed, and may be unaware that the infant has become lodged between the bed and wall or is seconds from falling off the bed. There are many scenarios that can play out when co-sleeping and that can make some people nervous. There are many sleeping arrangements. There is a crib in your room or in baby’s room, there are side sleepers that attach to the parent’s bed, some families have their children in their own rooms but allow them to come into their bed whenever the children want while others relegate children to their own beds and parents to theirs. If space is a concern and you opt for a pack-and-play, be sure you know how to choose the best pack n play sheets for the best comfort. Beneficial or harmful? The world may never agree. Of course, there are plenty of parents on both sides of this question who have had no problems with sharing a bed, a room or a home with their baby safely. The bottom line is this: You have to decide what is right for your family. If resting near your baby doesn’t seem like a good idea to you, then don’t do it. If you can’t imagine putting your infant out of your bed, then keep the darling with you until you feel the time is right. Ultimately, you get to make the choice. Happy resting.